Reach The number of unique individuals who view an advertisement. Really Simple Syndication (RSS) Blog, news or other content is published by an XML standard and syndicated for other sites or read by users in RSS reader software services. RealNames A service for matching company names and brands with web addresses. Referrer The site that a visitor previously visited before following a link. Registration (individuals) The process whereby an individual subscribes to a site or requests further information by filling in contact details and his or her needs using an electronic form. Registration (of domain name) The process of reserving a unique web address that can be used to refer to the company web site. Reintermediation The creation of new intermediaries between customers and suppliers providing services such as supplier search and product evaluation. Relationship marketing Consistent application of up-to-date knowledge of individual customers to product and service design, which is communicated interactively in order to develop a continuous, mutually beneficial and long-term relationship. Repeat visits If an organisation can encourage customers to return to the web site then the relationship can be maintained online. Repurposing Developing for a new access platform, such as the web, content which was previously used for a different platform. Resource analysis Review of the technological, financial and human resources of an organisation and how they are utilised in business processes. Results-based payment Advertisers pay according to the number of times the ad is clicked on. Retail channel Retailers' use of the Internet as both a communication and a transactional channel concurrently in business-to-consumer markets. Retail format This is the general nature of the retail mix in terms of range of products and services, pricing policy, promotional programmes, operating style or store design and visual merchandising; examples include mail-order retailers (non-store-based) and department-store retailers. Return on advertising spend (ROAS) This indicates amount of revenue generated from each referrer. ROAS = Total revenue generated from referrer / Amount spent on advertising with referrer. Return on investment (ROI) This indicates the profitability of any investment, or in an advertising context, for each referring site. ROI = Profit generated from investment / Cost of investment. ROI = Profit generated from referrers / Amount spent on advertising with referrer. Return path An interaction where the customer sends information to the iDTV provider using a phone line or cable. Revenue models Describe methods of generating income for an organisation. Reverse auctions Item purchased from lowest-bidding supplier in bidding period. Rich-media advertisements Advertisements that are not static, but provide animation, sound or interactivity. An example of this would be a banner advertisement for a loan in which a customer can type in the amount of loan required, and the cost of the loan is calculated immediately. Robot A tool, also known as a spider, that is employed by search engines to index web pages of registered sites on a regular basis. Run of site A situation where a company pays for banner advertisements to promote its services across a web site. Sales generation offers Offers that encourage product trial. A coupon redeemed against a purchase is a classic example. Sales promotions The Internet offers tremendous potential for sales promotions of different types since it is more immediate than any other medium -it is always available for communication, and tactical variations in the details of the promotion can be made at short notice. Satisficing behaviour Consumers do not behave entirely rationally in product or supplier selection. They will compare alternatives, but then may make their choice given imperfect information. Saturation of the Internet Access to the Internet will reach saturation as home PC ownership reaches a limit, unless other access devices become popular. Scenario-based analysis Models of the future environment are developed from different starting points. Scenario of use A particular path or flow of events or activities performed by a visitor to a web site. Scripts Scripts can run either on the user's browser (client-side scripts) (see Web browser) or on the web server (server-side scripts). Search engine Specialised web site that uses automatic tools known as spiders or robots to index web pages of registered sites. Users can search the index by typing in keywords to specify their interest. Pages containing these keywords will be listed, and by clicking on a hyperlink the user will be taken to the site. Search engine listing The list of sites and descriptions returned by a search engine after a user types in keywords. Search engine optimisation (SEO) A structured approach used to increase the position of a company or its products in search engine natural or organic results listings for selected keywords or phrases. 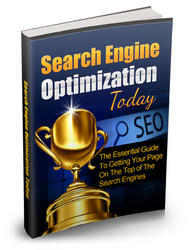 Search engine ranking The position of a site on a particular search engine, e.g. 3rd. Secure Electronic Transaction (SET) A standard for public-key encryption intended to enable secure e-commerce transactions lead-developed by Mastercard and Visa. Secure HTTP Encrypted HTTP. Secure Sockets Layer (SSL) A commonly used encryption technique for scrambling data such as credit card numbers as they are passed across the Internet from a web browser to a web server. 1 Authentication - are parties to the transaction who they claim to be? This is achieved through the use of digital certificates. 2 Privacy and confidentiality - are transaction data protected? The consumer may want to make an anonymous purchase. Are all non-essential traces of a transaction removed from the public network and all intermediary records eliminated? 3 Integrity - checks that the message sent is complete, i.e. that it is not corrupted. Seeding The viral campaign is started by sending an e-mail to a targeted group that are likely to propagate the virus. Sense and respond communications Delivering timely, relevant communications to customers as part of a contact strategy based on assessment of their position in the customer lifecycle and monitoring specific interactions with a company's web site, e-mails and staff. Segmentation Identification of different groups within a target market in order to develop different offerings for each group. Sell-side e-commerce E-commerce transactions between a supplier organisation and its customers. Server log file See Online web metrics. Service quality The level of service received on a web site. Dependent on reliability, responsiveness and availability of staff and the web site service. Share of search The audience share of Internet searchers achieved by a particular audience in a particular market. Share of voice The relative advertising spend of the different competitive brands within the product category. Share of voice (SOV) is calculated by dividing a particular brand's advertising spend by the total category spend. Session cookie A cookie used to manage a single visitor session. Short Message Service (SMS) The formal name for text messaging. Site See Web site. Site announcements Usually used to describe the dissemination of information about a new or revised web site. Site auditors Auditors accurately measure the usage for different sites as the number of ad impressions and clickthrough rates. Auditors include ABC (Audit Bureau of Circulation) and BPA (Business Publication Auditor) International. Site availability An indication of how easy it is to connect to a web site as a user. In theory this figure should be 100 per cent, but for technical reasons such as failures in the server hardware or upgrades to software, sometimes users cannot access the site and the figure falls below 90 per cent. Site design template A standard page layout format which is applied to each page of a web site. Site map A graphical or text depiction of the relationship between different groups of content on a web site. Site measurement See Web site measurement. Site navigation scheme Tools provided to the user to move between different information on a web site. Site re-launch Where a web site is replaced with a new version with a new 'look and feel'. Site statistics Collected by log file analysers, these are used to monitor the effectiveness of a web site. Site 'stickiness' An indication of how long a visitor stays on a site. Log file analysers can be used to assess average visit times. Site visit One site visit records one customer visiting the site. Not equivalent to User session. Site-visitor activity data Information on content and services accessed by e-commerce site visitors. Sitemapping tools These tools diagram the layout of the web site, which is useful for site management, and can be used to assist users. Situation analysis Collection and review of information about an organisation's external environment and internal processes and resources in order to inform its strategies. Smartcards Physical cards containing a memory chip that can be inserted into a smartcard reader before items can be purchased. Social exclusion Part of society is excluded from the facilities available to the remainder. Soft lock-in Electronic linkages between supplier and customer increase switching costs. Spam Unsolicited e-mail (usually bulk mailed and untargeted). Spamming Bulk e-mailing of unsolicited mail. Specific offline advertising Driving traffic to the web site or explaining the online proposition is a primary objective of the advert. Spider A tool, also known as a robot, that is employed by search engines to index web pages of registered sites on a regular basis. Splash page A preliminary page that precedes the normal home page of a web site. Site users can either wait to be redirected to the home page or can follow a link to do this. Splash pages are not now commonly used since they slow down the process whereby customers find the information they need. Sponsorship Sponsorship involves a company paying money to advertise on a web site. The arrangement may involve more than advertising. Sponsorship is a similar arrangement to co-branding. Stage models Models for the development of different levels of Internet marketing literature. Stages in web site development The standard stages of creation of a web site are initiation, feasibility, analysis, design, development (content creation), testing and maintenance. Static (fixed) web page A page on the web server that is invariant. STEP A framework for assessing the macroenvironment, standing for Social, Technological, Economic and Political (including legal). Storyboarding Using static drawings or screenshots of the different parts of a web site to review the design concept with customers or clients. Strategic analysis Collection and review of information about an organisation's internal processes and resources and external marketplace factors in order to inform strategy definition. Strategic positioning Performing different activities from rivals or performing similar activities in different ways. Strategy formulation Generation, review and selection of strategies to achieve strategic objectives. Strategy process model A framework for approaching strategy development. Streaming media Sound and video that can be experienced within a web browser before the whole clip is downloaded. Subject access request A request by a data subject to view personal data from an organisation. Superstitials Pop-up adverts that require interaction to remove them. Surfer An undirected information seeker who is often looking for an experience rather than information. Symmetric encryption Both parties to a transaction use the same key to encode and decode messages. Tagging Tracking of the origin of customers and their spending patterns. Target marketing strategy Evaluation and selection of appropriate segments and the development of appropriate offers. Targeting (through banner advertisers) Advertising networks such as DoubleClick offer advertisers the ability to target advertisements dynamically on the World Wide Web through their 'DART' targeting technology. This gives advertisers a means of reaching specific audiences. Technology convergence A trend in which different hardware devices such as TVs, computers and phone merge and have similar functions. Telemarketing using the Internet Mainly used for inbound telemarketing, including sales lines, carelines for goods and services and response handling for direct response campaigns. Telnet A program that allows remote access to data and text-based programs on other computer systems at different locations. For example, a retailer could check to see whether an item was in stock in a warehouse using a telnet application. Template See Site design template. Test web site A parallel version of the site to use before the site is made available to customers as a live web site. Testing content Testing should be conducted for plug-ins; for interactive facilities and integration with company databases; for spelling and grammar; for adherence to corporate image standards; for implementation of HTML in different web browsers; and to ensure that links to external sites are valid. Testing phase Testing involves different aspects of the content such as spelling, validity of links, formatting on different web browsers and dynamic features such as form filling or database queries. Third-party cookies Served by another site to the one being viewed - typical for portals where an ad network will track remotely or where the web analytics software places a cookie. Tipping point Using the science of social epidemics explains principles that underpin the rapid spread of ideas, products and behaviours through a population. Trademark A trademark is a unique word or phrase that distinguishes your company. The mark can be registered as plain or designed text, artwork or a combination. In theory, colours, smells and sounds can also be trademarks. Traffic-building campaign The use of online and offline promotion techniques such as banner advertising, search engine promotion and reciprocal linking to increase the audience of a site (both new and existing customers). Transaction log file A web server file that records all page requests. The passing of data packets around the Internet occurs via TCP/IP. For a PC to be able to receive web pages or for a server to host web pages it must be configured to support this protocol. Trusted third parties (TTPs) Companies with which an agreement has been reached to share information. 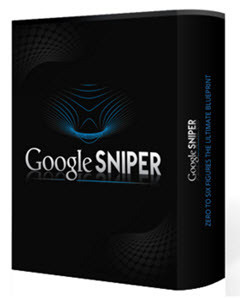 Discover How To Get Your Site Ranked On The Top of The Search Engines For Free Targeted Traffic To Your Site. In This Guide You'll Find Out The Ins And Outs of SEO So You Can Finally Get Any Pages Ranked On The First Page of Major Search Engines Like Google And Yahoo.